The following vendor services are specifically being sought: Safe return and medical alert bracelets, money management, transportation services (appropriate for frail seniors and/or disabled adults), home repair and/or home safety modification, biohazard cleaning & waste management (i.e. ability to remove and dispose of potentially pathogenic substances), adaptive equipment/non-medical home equipment (MUST be a contracted provider with both Medi-Cal and Medicare for wheelchairs, threshold ramps, hospital beds, walkers, etc. ), respite, personal care, chore and homemaker assistance, home delivered meals, ElderHelp, Elder Abuse XE, and Multipurpose Senior Services Program. Bilingual Spanish speaking individuals providing services to seniors and/or disabled adults are encouraged to apply. Prior to any agency, company, or individual being granted a contract, the applicant(s) will be required to complete a standard vendor application packet and supply proof of all required licensing and/or insurance required by the California Department of Aging (CDA) and the County of Ventura. This application process will be ongoing. 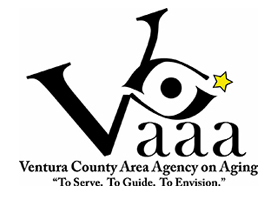 All requests to contract will be subject to review by the Ventura County Area Agency on Aging and will depend upon receipt of federal and state funds. Funds become available beginning July 1 to June 30 of each fiscal year. Contracts may be renegotiated annually to provide services. For more information concerning the vendor application process, contact Connie Riedmiller, at (805) 477-7345.